Apple iOS 8 jailbreak is released by Pangu and it is time to upgrade to latest iOS. I feel that iOS 8 is better than iOS 7, like Windows Vista to Windows 7. Apple has seeded iOS 8.1.1 beta and it is known that this update cannot be jailbroken. 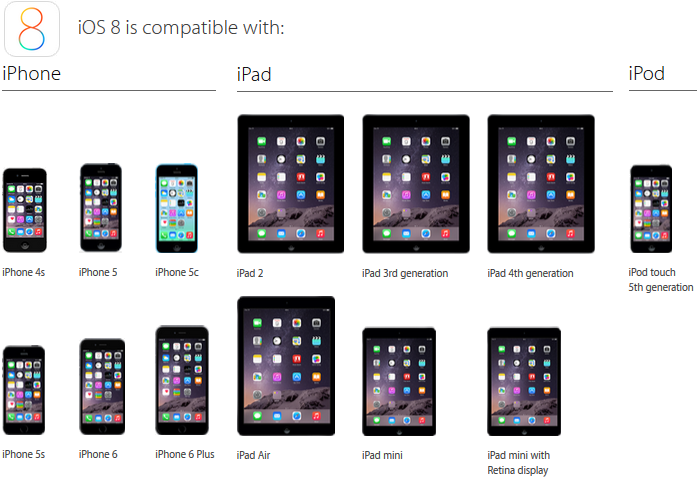 It is advisable to upgrade the device to iOS 8.1 and you can jailbreak in the future. S3-4. 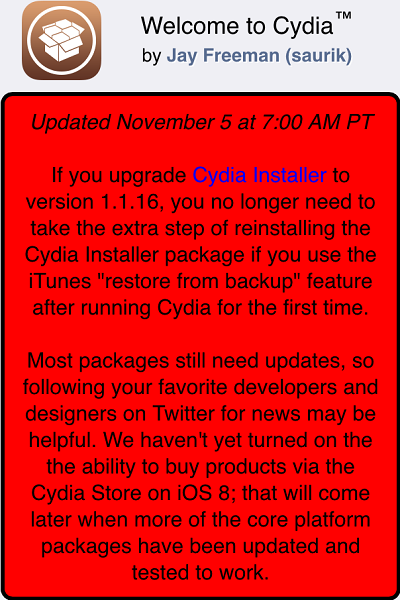 If you jailbreak using Pangu up to v1.2.0, you must upgrade Cydia Installer to v1.1.16. Notes: No Action required if you jailbreak using Pangu v1.2.1 as it includes Cydia Installer to v1.1.16.